Please contact us and share the great resources you have found. We will post them here for other parents. 50 fantastic questions written by a mom named Leslie. These questions are very helpful and we hope inspires parents to connect better with their children during the bed-time routine. We were invited to Honduras to train the staff of Children's Homes. One of the teachings we provided was about treasure hunting, seeking the natural and spiritual gifts that are already present within the children. The leadership followed up with the children, and what happened next was miraculous! To read step-by-step about treasure hunting for your children's gifts and talents and miraculous results that they experienced, click here. Feel free to start using strength-based treasure hunting with your children and watch them begin to shine! Contact us if you would like us to come provide this, or any other training workshop, for your group. This 30 minute audio prayer was developed by David Tensen for his own children as they battled with anxiety and fear. Since recording and releasing the prayer, adults and children alike have sent in stories and testimonies from all over the world of healing and relief from fear, stress, trauma and anxiety. Many children are sleeping well and overcoming anxiety attacks with this free audio. You can download this prayer with gentle background music here. Dr. Nancy Thomas leads "Families By Design" and she travels the world training caregivers, orphanages and parents how to re-attach detached children. She has an extraordinarily high success rate healing children's disconnected brains and relationships. Nancy's book When Love Is Not Enough helped jumpstart the revolution of caregivers coming to understand Reactive Attachment Disorder. We recommend Nancy's books. Formerly "Adventure In Childrearing," they provide hands-on tools to work with children, packages based on themes, creative ideas and projects for homeschooling, and resources for special needs children. On their website you can download free printables that they say "can help to get kids excited about learning, fuel creativity and nurture young minds. Let's make the rest of the year a learning adventure our kids will LOVE!" We appreciate their can-do attitude. 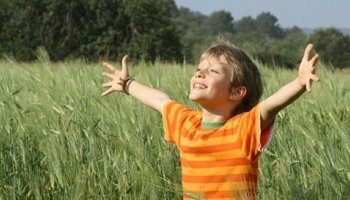 ​The techniques taught by Jim Fay (former school principal), Foster Cline MD (psychiatrist) and Charles Fay PhD (psychologist) at the Love and Logic Institute are wonderful for high functioning children and stressed out parents. Along with helpful books and seminars you can order, you can sign up for short weekly reminders on effecting parenting tips that are very useful to remind parents how to help kids with love and logic. For new or frustrated caregivers, this easy to use manual provides basic guidelines on how to understand ages and stages children normally progress through. From babies to toddlers to grade school - from tantrums to biting to spanking, this publication by the University of Minnesota and Children's Hospitals and Clinics of Minnesota provides basic rules of thumb. It is great for a struggling parent who is not sure what behaviors are normal and healthy. This is a summery of a training seminar from our own work helping children heal from trauma and sexual abuse. This training is for parents, caregivers and workers who want to know the steps to helping a child who is stuck in a bad phase into a new phase of learning to open and trust again. The title of this training is "Key Ingredients for Giving Sexually Abused Kids the Choice To Heal." ​Please contact us if you would like this seminar training in person. Having trouble connecting with your kids? We suggest making things more fun! Action and games opens minds, cracks smiles, and builds relationships. Youth Ministry Labs offers 48 free games downloadable in adobe format. Once you sign up, they offer a free video teaching about how to make games a part of your new fun tradition. Trust us. Games build bridges of connection with kids. CAFO (Christian Alliance For Orphans) offers a monthly webinar for people wanting to learn about all aspects of orphan care. On their website they have posted their past webinars and have created an incredible resource library. 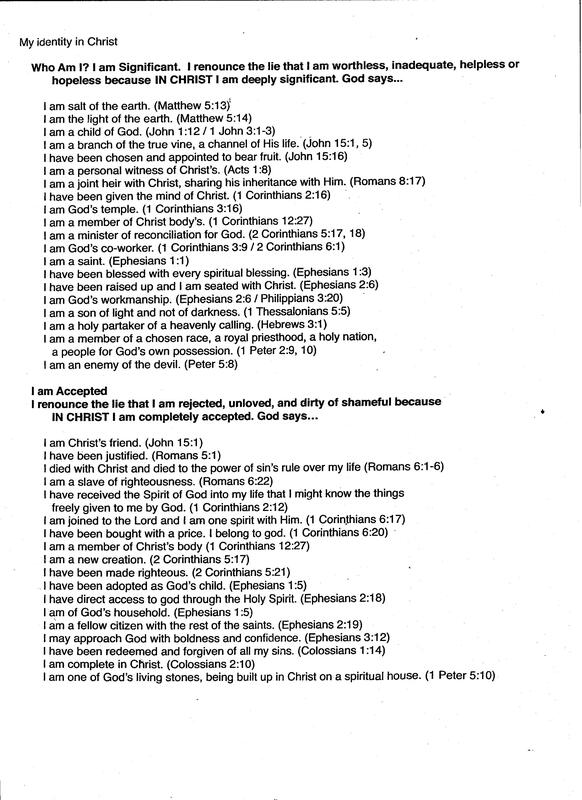 This link takes you to the a letter taken right out of Scriptures as if it were personally pinned from God himself to a child. You can download printable versions, audio versions, or video versions. This is an incredible tool that can help open hurting hearts. 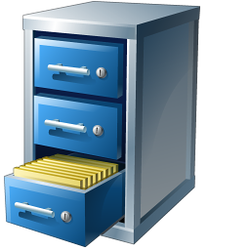 These documents are so good we had to include them for you here. 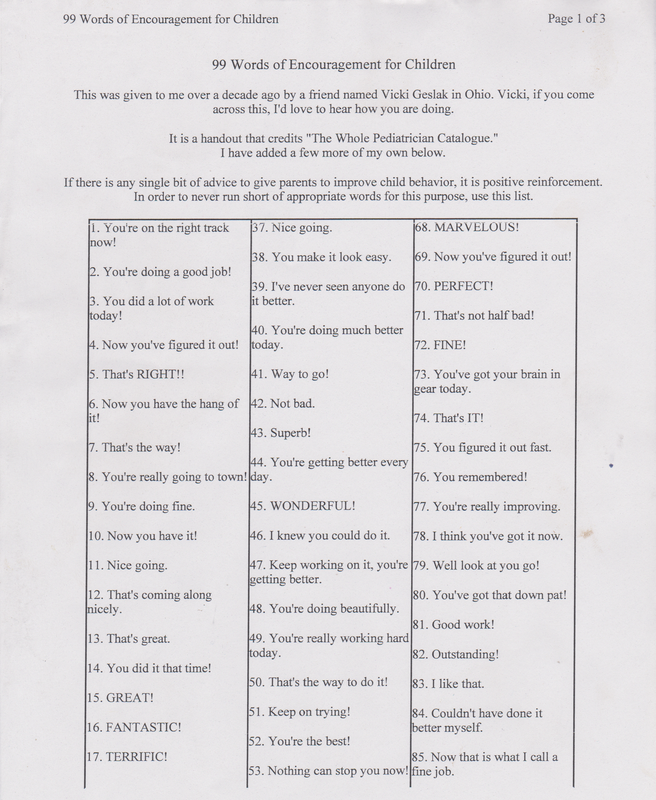 99 words parents must use to encourage their children! ​Abused, abandoned or traumatized children question their identity. 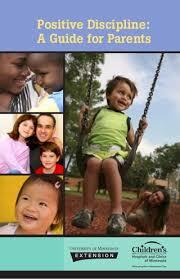 These documents provide children a strong basis to reform their identity which will shape a positive future. The documents walk children through new thoughts of being significant & accepted. 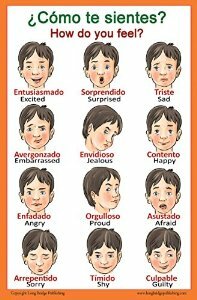 This identity affirmation document is for children and families who's heart language is Spanish. 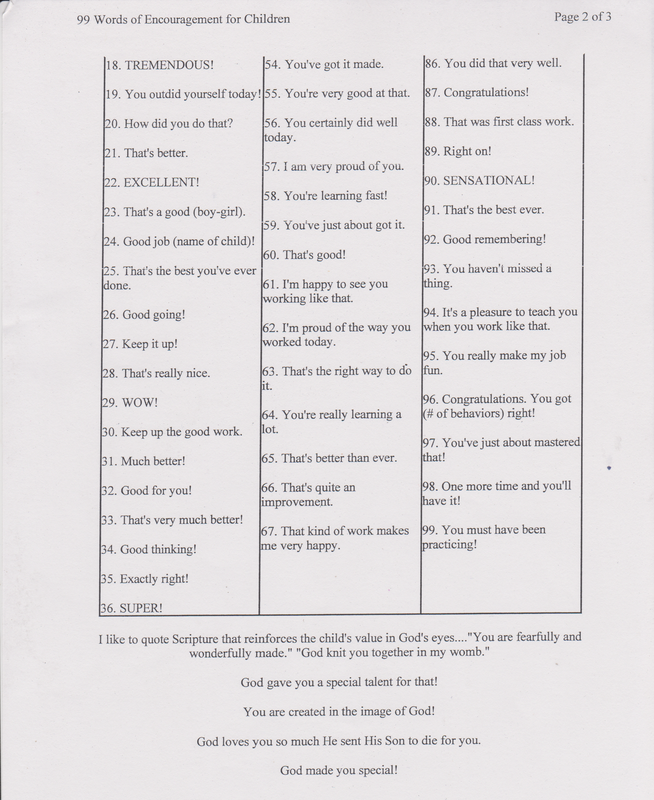 We suggest walking your child step by step through the affirmations, weekly. 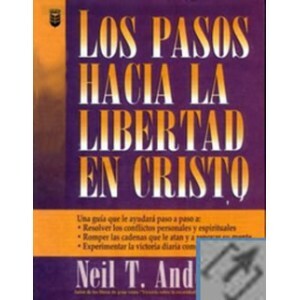 ​These are "The Steps To Freedom In Christ" by Dr. Neal Anderson. 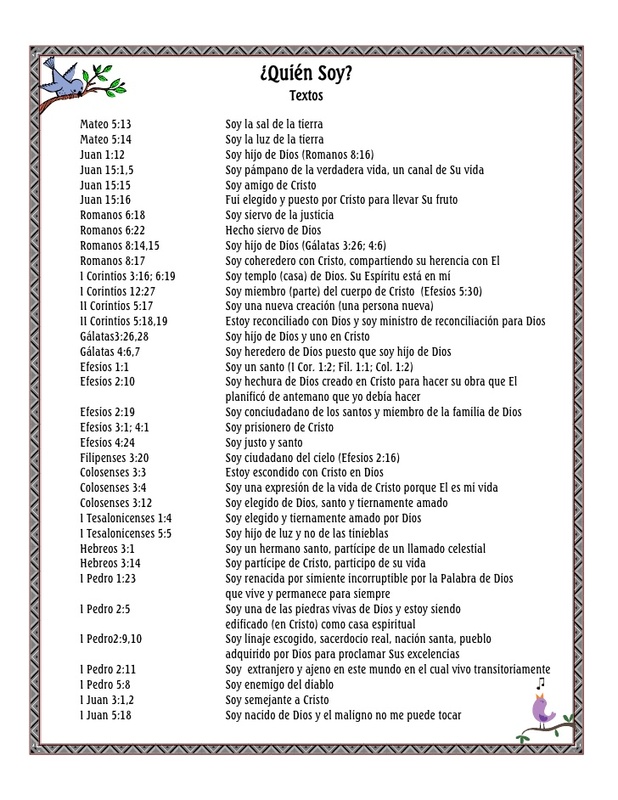 ​We have uploaded the steps in Spanish as a great resource for orphanages in Central and South America. They are considered by some counselors as first steps to help youth trapped in the pain of the past, spiritual or ancestral bondages find new freedom. in English. They are an incredible blessing to anyone struggling to get free of addictions, bad habits, tormenting thoughts, etc. These steps uncover things in people's lives holding them back for years. We require all of our interns and volunteers to pray through these steps as part of their training and personal freedom. 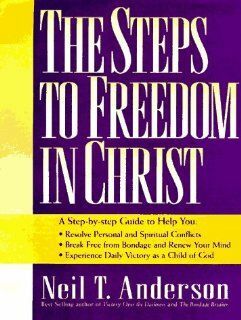 ​We have found the Steps To Freedom In Christ (above) to be too long and cumbersome for children with short attention spans. Click here to download the Steps To Freedom for 5 - 8 year olds. ​We have yet to find this kid-friendly downloadable version in Spanish, so you will have to translate it yourself if you are in Central or South America. But well worth it to help kids feel free. ​This child-friendly manual walks Spanish fluent children through the court system. Once an abuse and abuser is identified, the police and courts get involved to bring justice. This process is scary for a child, and this manual walks children step by step what to expect. A fantastic resource for parents, caregivers and counselors helping sexually abused children tell their story. When working with a disconnected child, a fantastic daily exercise is having them match their feelings to words. Feelings charts are the place to start. When a child's brain begins to connect their feelings to their thoughts and words, you are making progress! ​Jingles Lost Her Jingle is a tool for parents, therapists and safe grown-ups who want to help their little princess heal after being molested. Jingles' story is a typical example of abuse, and illustrates the lies an abuser uses to manipulate his/her victims. ​Although we have never read the book by Becky Dvorak (pictured), a missionary working with children in Central America, the prayer that she wrote comes highly recommended. 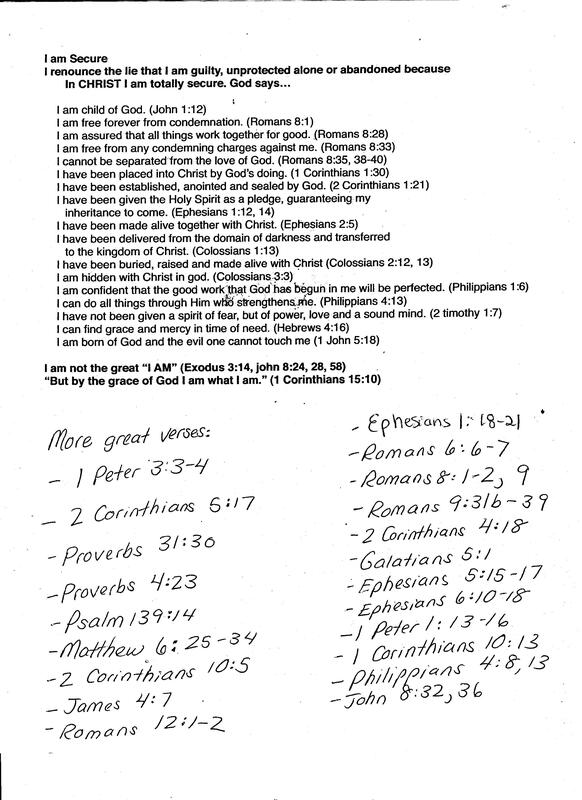 In fact, someone emailed us the prayer a couple times saying we needed to read it aloud daily to children! So we are attaching it here for parents.